Aron men’s brown leather shorts with belt. These genuine Trachten shorts are made from real leather that is designed to stretch to provide a snug and comfortable fit. 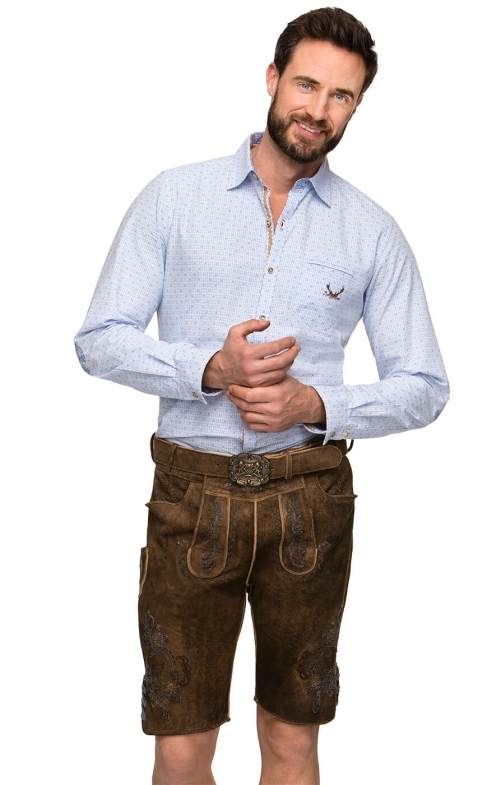 They come with a modern belt in matching leather with a traditional Bavarian belt buckle. The fabric boasts pale-blue-embossed embroidery on the cuffs, sides and front bib.